JCCF invites residents of all ages to help bring this mural to life this summer at a Community Painting Day. Painting supplies and refreshments will be provided. 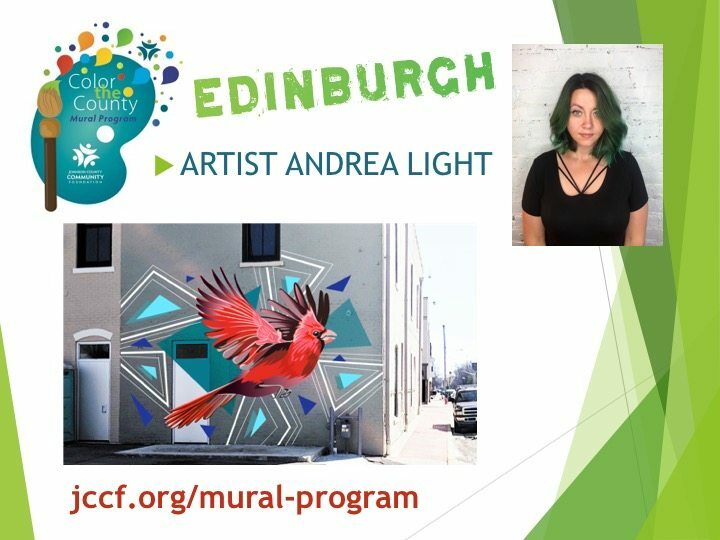 Andrea Light’s mural design was chosen for the mural location at 100/102 E Main Cross Street Edinburgh, IN. Andrea is a graphic designer with a passion for making websites and turning the world into a more colorful place. Date: Saturday, August 11, 2018 from 9:00 a.m. to 12:00 p.m.